You are here: Home / Archives for Three Forks Bakery & Brewing Co. 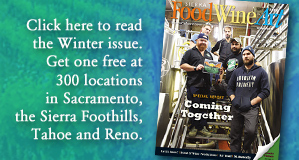 Filed under Food · Tagged with Azriel LaMarca, CineCafe, Grass Valley, Michael LaMarca, Mike and Barbara Getz, Ol' Republic, Sierra Cinemas, Sierra Nevada Brewing Co., Sierra Theaters, Three Forks Bakery & Brewing Co. Filed under FWA blog · Tagged with Auburn, beer tasting, Dead Canary, Imperial IPA, Knee Deep Brewery, Nevada City, Ol' Republic Brewery, Out of Bounds Brewing Co., Rocklin, State Fair craft beer competition, Three Forks Bakery & Brewing Co.